Ready for this weekend’s cocktail? 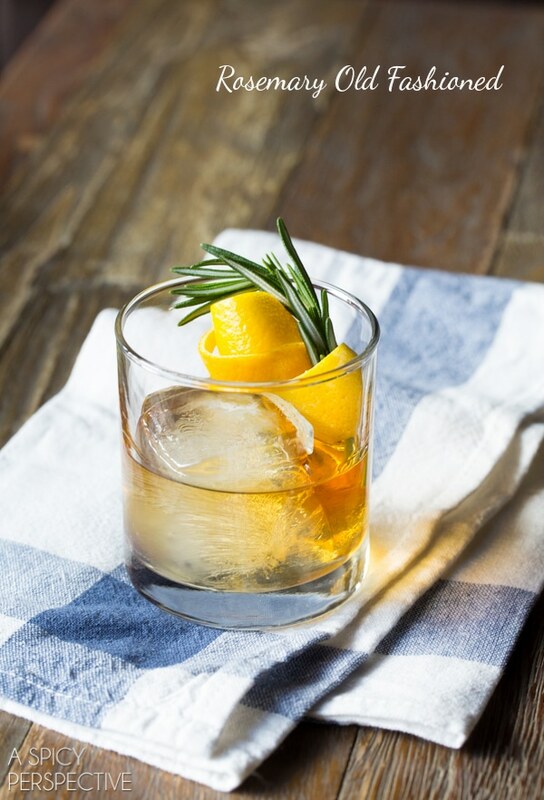 Erin’s got a great twist on the an old favorite, a Rosemary Old Fashioned. 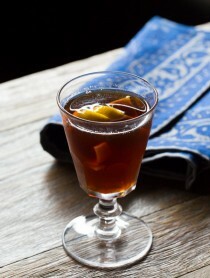 Old Fashioned are always great for sipping on in the colder months. 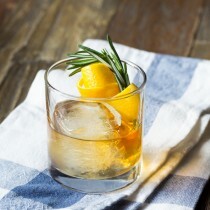 This variation, the Rosemary Old Fashioned, uses rosemary to provide a nice herbaceous note and orange bitters to round out the drink. 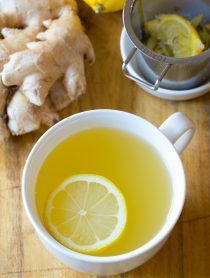 To make the rosemary syrup, combine equal parts water and sugar in a pot. Add several sprigs of fresh rosemary. Heat mixture until just barely simmering and remove from heat. Let the syrup steep for 10 minutes, and then remove the rosemary. In a rocks glass combine the whiskey, rosemary syrup, and orange bitters. Add ice and stil to chill the drink. Garnish with a rosemary sprig and an orange peel. Made this cocktail for friends over last night. Everyone loved them and they were so pretty. Great for a winter get-together. The bourbon or whiskey you use definitely makes a difference so be sure to get a good one. 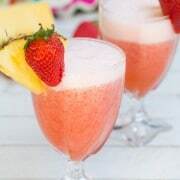 This is such a gorgeous cocktail! I love the rosemary twist!